* When The 9/11 Commission Reported That Jdey Had Been Part Of The “Planes Operation” Planning And Was Connected To Atef, Special Operations Planner Saif Adil, KSM, Lead Hijacker Atta, 9/11 Planner Binalshibh, And Key Hijacker Nawaf al Hazmi, Had The 9/11 Commission Been Told By The FBI That Jdey (With Biology Textbooks) Had Been Detained At Same Time As Moussaoui (With Cropdusting Material Scanned) And That Then Jdey Had Been Released? GAO: Has Amerithrax Been One Big “CYA” Operation From The Very Beginning? Was Jdey The Anthrax Mailer? « CASE CLOSED … what really happened in the 2001 anthrax attacks? * When The 9/11 Commission Reported That Jdey Had Been Part Of The “Planes Operation” Planning And Was Connected To Atef, Special Operations Planner Saif Adil, KSM, Lead Hijacker Atta, 9/11 Planner Binalshibh, And Key Hijacker Nawaf al Hazmi, Had The 9/11 Commission Been Told By The FBI That Jdey (With Biology Textbooks) Had Been Detained At Same Time As Moussaoui (With Cropdusting Material Scanned) And That Then Jdey Had Been Released? GAO: Has Amerithrax Been One Big “CYA” Operation From The Very Beginning? Was Jdey The Anthrax Mailer? This entry was posted on January 25, 2012 at 11:41 am	and is filed under Uncategorized. Tagged: *** 2001 anthrax attacks, *** Amerithrax, *** FBI anthrax investigation, Abderraouf Jdey, al Qaeda and anthrax, KSM, Muhammed Atta. You can follow any responses to this entry through the RSS 2.0 feed. You can skip to the end and leave a response. Pinging is currently not allowed. We used the scenario of a hijacked crop dusting plane that ended up landing on Highway 3. The plane was abandoned, and we learned that anthrax was sprayed throughout the community. So anybody that was exposed to the anthrax, needs to come to this point of dispensing to receive medication in order to not get sick from the anthrax exposure,” said Staton. Comment: I once sent a FOIA to some Montana university on this general subject and got a prompt reply, by FED EX no less. Adnan El-Shukrijumah was staying at KSM’s house, as was Yazid Sufaat. Adnan told his mom on or about 9/13/2001 thta he was coming to the US — she says he was in Trinidad at the time but a witness places him at kSM’s house. Sufaat and his two assistants were working with the virulent anthrax at the lab in Kandahar. I understand where Adnan would get the anthrax to mail — from Sufaat in Kandahar. But where would Jdey have gotten the anthrax? Sufaat began working prior to May 2001 at Omar Hospital… then the lab was moved to Kandahar. And so had those months, helped by two vaccinated assistants. At the time of his initial interrogation by Canadian Intelligence, Jabarah’s credibility was unknown. That was about to change. After his handover to the FBI and before the October 12, 2002 deadly bombing in Bali, Jabarah told U.S. investigators that an operative by the name of “Hambali” was planning to conduct bombings in bars, cafes, or nightclubs frequented by Westerners in Thailand, Malaysia, Singapore, the Philippines, and Indonesia. (http://www.theage.com.au/articles/2003/01/22/1042911437337.html). Jabarah provided evidence linking Richard Reid to Al Qaeda. Reid attempted to use a shoe bomb on American Airlines FL63 on December 22, 2001. Additionally, after Jabarah’s transfer to the FBI, it was believed he could provide useful information against Zacarias Moussaoui and Jose Padilla (the alleged “dirty bomber”). His own involvement in Al Qaeda, his knowledge of the involvement of others, and his direct link to KSM, established Jabarah as a very credible and useful witness. What does the FBI think of Jabarah’s claim regarding FL587? The FBI has not returned our calls. Whatever their opinion, the FBI cannot have their cake and eat it too. If the FBI views his FL587 claims as “not credible” how do they make such a determination when it seems the other intelligence they have garnered from him was very credible? For example, his foretelling of the Indonesia bombing and the involvement of “Hambali” proved totally correct. Did the FBI tell the NTSB in the summer of 2002 of this intelligence from Jabarah? Did this lead to a second look at the wreckage for any possible evidence of a small bomb being detonated on board FL587? Richard Reid had no more than 6 to 8 ounces of explosives in his shoes. The NTSB has not responded to any of our questions on this issue. What we cannot ignore is –– this claim about FL587 came from the highest operatives in Al Qaeda very soon after the crash. Could a Shoe Bomb Explain Events On Board FL587? As we outlined in the Summary of our Preliminary Report, the NTSB’s conclusions about FL587 do not square well with the physical evidence and eyewitness accounts. The evidence suggests that the tail separation was not the cause of the crash, and that there was something very wrong with the aircraft during the time the pilot was aggressively controlling it. Specifically, there were electrical interruptions on board during that time along with ground and Bay witnesses reporting the aircraft having exploded and/or being on fire before tail separation. Also, the tail departed several seconds after the NTSB’s timeline suggests it did, yet the crew had lost control of the aircraft before tail separation. Therefore, it appears tail separation was not the cause of the crash any more than the engine separations were. The cockpit voice recorder (CVR) likely holds the most important clues. The NTSB has never explained the airframe rattles heard before tail separation, or the unusual spikes of noise energy, or the malfunctions of the CVR (stop/starts) –– all which occurred before the tail separated. Something must account for these and other anomalies. The NTSB’s statements thus far don’t even acknowledge these anomalies, much less explain them. • The most likely initiating event was a terrorist attack (be it a bomb or mechanical sabotage). • The second most likely cause is an accidental explosion/fire caused by faulty wiring, or some other accidental mechanical cause. • The least likely scenario is that which has been put forth by the NTSB investigation. We consider it not impossible, but least likely, because the NTSB scenario does not reconcile well with the majority of the physical evidence, and completely ignores some physical evidence, including the eyewitness accounts. We are not declaring that FL587 was downed by terrorists –– only that we believe that is the most likely explanation given all the evidence, especially in light of the new information which was acquired by Canadian Intelligence. U.S.Read has learned from a source within the FL587 investigation that there were indicators of a high velocity explosion (bomb) discovered in the wreckage of FL587 soon after the crash –– even before the flight recorders were recovered. Immediately, the official reaction was that this potential evidence was not significant. We do not know if residue testing was performed, although the NTSB implies such testing was performed. The NTSB has stated that no explosive residue traces were found in any of the wreckage but they offered no details about how much of the wreckage was tested. Is the NTSB convinced they have all the evidence? “At least that’s been relayed to us . . . at least the evidence we have”. These are not very confident or definitive words from the NTSB. In addition to opening the door to the possibility that not all evidence may have been relayed to the NTSB, the NTSB also seemed to imply that as the lead agency in this investigation, the NTSB might not be guardians of all the facts. Instead of conveying with conviction that there was no terrorist activity and that they have every shred of evidence that exists, the NTSB instead made a statement that conveyed doubt. One intelligence official said a warning was sent to senior Bush administration officials last week stating that unidentified terrorists were planning to carry out some type of mass attack on Nov. 11 – Veterans Day . . . the intelligence report about the possible attack was specific enough to raise concerns, this official said. A second U.S. official confirmed that there were “some reports that something might happen in connection with Veterans Day”. Gertz did not identify the North African nation. 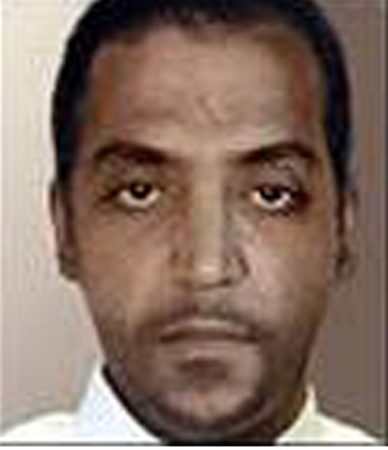 The alleged FL587 shoe bomber, Abderraouf Jdey, was known to Al Qaeda as Farouk the Tunisian. Tunisia is on the North African coast. The link to North Africa from this pre-November 12th intelligence along with the information about Farouk the Tunisian is interesting, and perhaps more than a coincidence. If FL587 was downed by Al Qaeda, why didn’t they take credit for it early on? Al Qaeda does not always take immediate credit for acts they perpetrate. For quite a while after 9/11, Al Qaeda denied any involvement in the 9/11 attacks although they did praise them. Second, Jabarah told interrogators of the FL587/Al Qaeda connection in May of 2002, less than 6 months after the crash. The delay in this information becoming publicized is due to the FBI and U.S. Intelligence holding it back. Third, if FL587 was downed by a shoe bomb (or some other type of incendiary device), this would be the first explosion on board a U.S. airliner on U.S. soil. Al Qaeda might have been testing a new technique (e.g. shoe bombs) originally developed by Ramzi Yousef and KSM. To take immediate public credit might hamper any future attacks –– like the December 22, 2001 shoe bombing attempt by Richard Reid. Reid tried to take down an American Airlines flight (FL63) with such a new device. Was his the first attempt to use this new weapon? Or had they proven the efficacy of this design on American Airlines FL587? Wouldn’t the FBI have found explosive residue if there had been a bomb on board? The NTSB Structures Report stated that the majority of the fuselage of the airplane was consumed in the post-crash fire. Therefore, it’s possible, if we take the word “consumed” literally –– that there wasn’t enough of the aircraft left to test for residue. Former intelligence analyst Ken Dillon makes the powerful point that, with this as background, Jdey was an awkward candidate for the Fall 2001 anthrax mailings to investigate. Now I’ve put my money down on Adnan El-Shukrijumah because he was coming from Kandahar where Yazid Sufaat had been working on his anthrax project for months. But I find Ken’s theory very plausible given Jdey’s movements, motivations and connections. À Montréal, ces deux terroristes, Boussora et Jdey, ont fréquenté la méga-mosquée Assuna, laquelle fut co-financée par la Ligue islamique mondiale. La mosquée Assuna à Montréal, pouvant accueillir jusqu’à 3000 personnes, est une fourmilière d’islamistes, une plaque tournante de terroristes… Le site oumma.com la décrivait comme «la plus grande mosquée salafiste de la ville» de Montréal. Le Frère musulman Elmenyawi (d’origine égyptienne), un fervent promoteur de la charia au Québec, et son complice de longue date, le Marocain Adil Charkaoui (AKA Zubeir al-Maghrebi), ont tous deux fréquenté intensivement la mosquée Assuna, cet incubateur de terroristes, à Montréal… Charkaoui y a aussi donné des cours d’arts martiaux. De nos jours, Charkaoui continue à prôner l’islamisme. Sa mosquée dans l’est de Montréal, nommée Assahaba, relaie l’éloge du terroriste extrémiste Abdullah Azzam, le fondateur d’al-Qaïda en Afghanistan. Devenu citoyen canadien en 1995, il a étudié la biologie à l’Université de Montréal (cependant: une lettre qu’il aurait lui-même rédigée évoque plutôt des études en géologie à l’UQÀM). Après avoir obtenu un passeport canadien en 1999, il a quitté le Canada pour suivre un entraînement au combat en Afghanistan avec les futurs terroristes du 11 septembre Khalid al Mihdhar et Nawaz al Hazmi. Participant avec les Talibans du Mullah Omar à la lutte contre l’Alliance du Nord du Commandant Massoud, il a rédigé une note de kamikaze où il déclarait son intention de mourir en martyr. Il est aussi apparu dans une vidéo découverte en 2001 dans la demeure d’un dirigeant d’al-Qaïda (Mohammad Atef), où il s’engageait à mourir dans un attentat-suicide. Jdey aurait reçu des directives de Khalid Sheikh Mohammed, le cerveau derrière les attentats du 11 septembre (et capturé par les États-Unis). D’après l’interrogatoire (sous torture) de Khalid Sheikh Mohamed, membre d’al-Qaïda, Jdey avait été choisi par le groupe d’Oussama ben Laden pour suivre un cours de pilotage afin de participer à l’attentat du 11 septembre. Mais finalement, il est revenu au Québec – où il a été vu à Montréal pour la dernière fois à l’automne 2001…tate» une musulmane comme Fatima Houda-Pépin (laquelle, rappelons-le, a prêté son serment d’allégeance comme députée sur un exemplaire du Coran). Cette déclaration de Charkaoui est une menace, en tant que, selon les salafi-jihadistes, les apostats peuvent être tués sans que cet acte ne soit considéré comme un meurtre. I believe the Plaintiff’s suit in Dillon v. United States is now due to be filed tomorrow. Isn’t this article below mistaken? Didn’t Jdey immigrate to Canada from his native Tunisia in 1991? But query: was he associated with Saif Adel’s “Green Team” in Somalia in 1993? That would explain a lot. Canada has become a steady source of Islamist fighters for groups like ISIS and Al-Nusra, officials say. Canadian and US authorities are on the lookout for Abderraouf Jdey, a Quebec jihadist said to be fighting on behalf of the Somalian Al-Shabaab terror group. Jdey, born in Tunisia, lived in Montreal between 1991 and 1999. He was last seen in Canada in 2001, but officials fear that he is set to return. Jdey studied in a Canadian university after arriving in Canada from Somalia ?????? as a political refugee, and it was there that he apparently underwent a radicalization process, which turned him into a Jihadist. He was a regular at the Al Sunnah Al Nabawiah mosque in Montreal, which is considered a bastion of radical Wahhabist teachings. He left Canada in 1999, headed for Afghanistan, where it is believed he trained with Osama Bin-Laden. In recent years, Jdey has hooked up with Al- Shabaab, a radical Islamist group associated with Al-Qaeda, operatiing in Sudan and north Africa. He is a Canadian citizen and still has his Canadian passport – and intelligence reports say that he is planning to come back to Canada to carry out terror attacks. The FBI has offered $5 million for informationleading to his arrest. According to Canadian officials, some 130 citizens of that country are or have been fighting on behalf of radical Islamist groups around the world. Eighty of them have returned to Canada, and officials have been scrambling to keep up with their whereabouts for fear they will carry out terror attacks. Several years ago, a Canadian citizen fighting with Al-Nusra Islamists in Syria carried out a major terror attack in Damascus. Three other Canadians have been involved in terror attacks over the past several years, officials said. Islamabad to reserve tickets to travel by ourselves. Reconnaissance Strategy was given by Brother Abu Walid, in English. 3: This enabled the individual to perform every travel procedure on his own. A FOIA request has been submitted in Canada for the interrogation report that has Jabarah saying he was told that Jdey was the shoebomber that brought down the flight in Fall 2001 leaving from NYC. Less than three months after the crash of American Airlines Flight 587 in Queens, New York, rumors were already suggesting that it had been destroyed by an unknown terrorist with a shoe bomb similar to the one found on Richard Reid. “We, in the Al Qaeda of the Arabian Peninsula would like to convey to our nation the glad news and the awaited surprise: We have been enabled by Allah to blowup a UPS cargo plane on the 3rd of September 10, after its takeoff from Dubai Interrnational Airport. We have succeeed in bringing down the UPS plane but because the enemy’s media did not attribute the operaiton to us we have remained silent so we may repeat the operation. This time we sent two explosive packages, one was sent through UPS, and the other through FedEx. We would like to ask: Why didn’t the enemy reveal the truth about what happened with the downed UPS plane? Is it because the enemy could not discover why the plane was brought down? Or was it because the Obama administration wanted to conceal the truth so it doesn’t expose the failure of this administration especially that it was during an election season? The dated link I provided to a memo about “The Green Team” (Somalia mission, 1993) in the post above is broken. But pages 189 of this book describes the document at the West Point center. I will try to relocate a current link for the memo. Was Jdey a member of the Green Team in Somalia in 1993? Here is the translation of the original document written by Saif al-Islam from Khartoum, Sudan August 1994 describing the Green Team in Somalia in 1993. I have no idea whether Jdey was a member of The Green Team and in either Sudan or Somalia in the early 1990s with the Egyptians from Afghanistan. But note that this is the not the first time Abderraouf Jdey has been rumored to be engaged in the feared murder of innocents with the Somalian group. Deputy police spokesperson, Vincent Sekate released the names of the suspected Al Shabaab terrorists who are expected to have entered the country from Somalia. Police said: “We have received information that five terrorists have entered or are about to enter Uganda”. The suspected Terrorists are in the names of … ABDERRAOUP JDEY … who are believed to be active members of radical organizations planning to commit attacks and participate in hostile acts. Randol, the former Homeland Security official and senior CRS analyst, recalled that shortly after 9/11, his 8-year-old nephew went on the Internet to do research for a school project on the bubonic plague that wreaked havoc in Europe centuries ago. Somehow, that online search threw up a red flag for the FBI. “Two FBI agents showed up at his door and wanted to talk to him,” Randol said. The matter was quickly resolved, and the agents realized they had better things to do. While Lanza wouldn’t discuss the specifics of the bureau’s surveillance tactics, he said, “Lots of things go into it besides sitting down and watching things. Syracuse recently passed a resolution holding that law enforcement couldn’t use drones. A drone would be useful in finding this knife it the young man threw it up onto a roof. At the very least, homeowners along the streets he ran could be offered use of a drone to check their roof. Alternatively a warrant could authorize it. Finally, before the snow falls tonight I don’t believe that it would not be an invasion of privacy under the court precedent to inspect a roof. They are looking for a bloody kitchen knife. I believe a drone is a great way to look for the heat signature of a meth lab. I’m very excited about using one to make a detailed aerial map of a 60 acre island that alternatives between trails and impassable brush. The new FOIA documents, formerly SECRET, identify some insecticide documents on Moussaoui’s computer. Note that the documents do not yet address, in any way, as far as I can see, Jdey. The fellow arrested in Minnesota along with Moussaoui was the fellow who drove him there from Norman. While I believe Ken Dillon’s lawsuit against the FBI is a work in progress, the support for the Jdey point comes soley from the former head CIA fellow’s footnote in the Harvard WMD report. I am on record urging publicly that Adnan El-Shukrijumah as the anthrax mailer rather than Ken’s candidate, Jdey. I think of them all as part of the same, highly compartmentalized operation. The FOIA documents now produced explain how Moussaoui failed his written test for flying a Cessna and didn’t want to take the practical. Let’s put aside whether the FBI has to disclose the information under FOIA. GAO: Did the FBI disclose the information to Congress? Dr. Ivins suicide did not in any way lead to the withholding of all the documents showing Dr. Ivins work with the rabbits or the other relevant forensic science documents being withheld. Indeed, it would have made the release of the documents far easier and less problematic. A suspect’s suicide aids resolution — it does not undermine it. For example, take the example of Jdey. The DOJ argues in response to a FOIA request that the documents cannot be released because there is no evidence he is dead. “Originally called crop “dusting” because of the powder insecticides dropped by the airplanes, the name changed to “aerial application” in the 1980s when liquid-based chemicals took the place of powders. Comment: Michael Osterholm, who advised the president, wrote in a 2000 book with a NYT correspondent John Schartz that commercially available cropdusting equipment that dispersed a dried powder (not mixed with a liquid). Here is a 2007 Kindle version. So why do opinion writers and even book authors continue to get such a basic point wrong? For example, there was a Huffington Post article by the authors of Breeding Insecurity and a 2003 article by someone at the Cato Institute that come to mind. Writers need to do better research. They need to read more. A giant red flag flying over anyone commenting on a matter is that they do not even read the relevant books or articles that they purport to address. Yazid, in the french interview you said that you did not think that Zacarias was suited to the role of pilot. But that he was determined to join the others. What about Jdey, moussaoui’s associate. Was he well-suited? I had never stopped to focus on Jdey until one day my friend Ken, a former state department analyst, raised him in this connection. Yazid, tell us about Jdey. Thx.